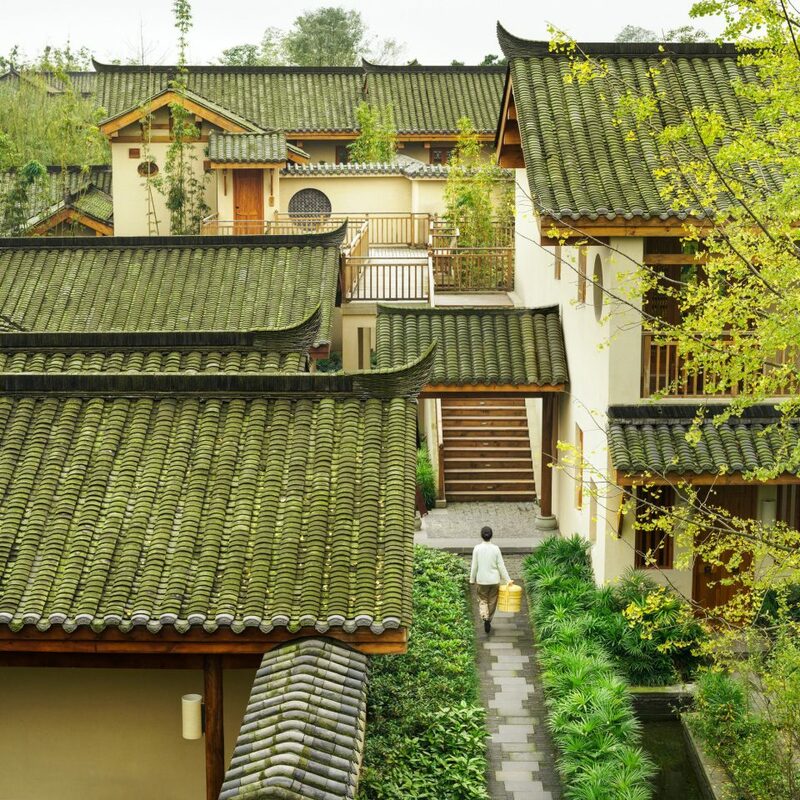 Nestled under Qing Cheng Mountain near the Chinese city of Chengdu, this Six Senses could pass for a serene, verdant, and luxurious village. 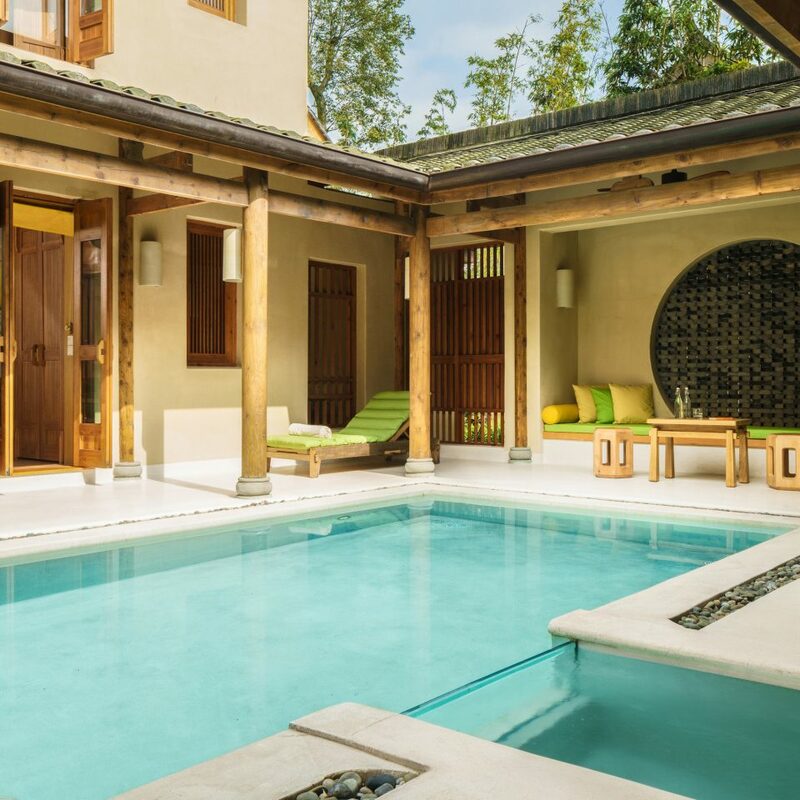 Its 62 lush hectares house 113 villas and suites that are interspersed with courtyards, carefully tended gardens, ponds and pagodas, as well as the spectacular background of Qing Cheng Mountain. 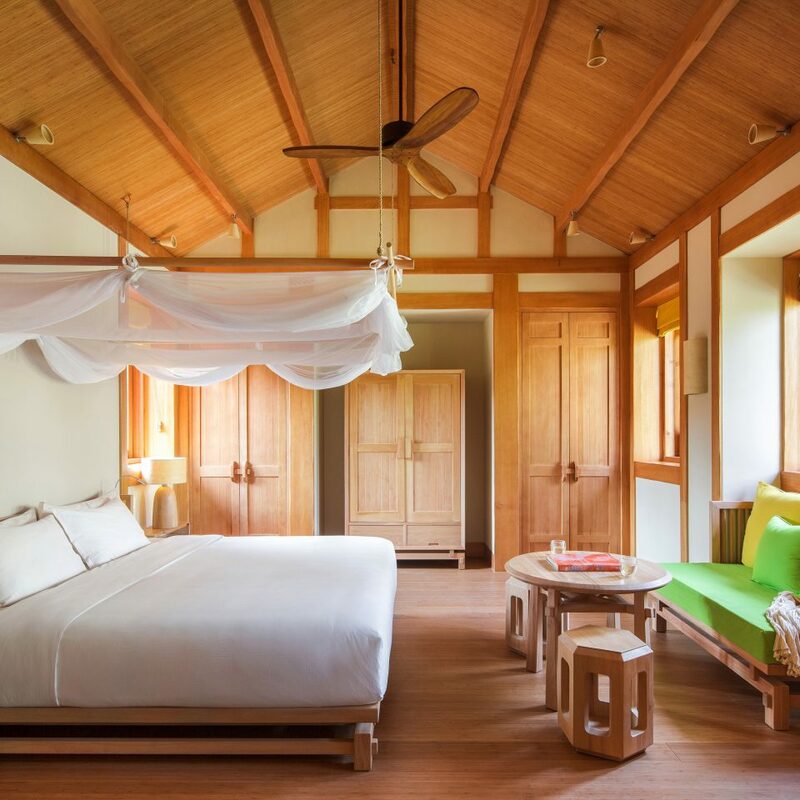 The design, by Thai architecture firm Habita, is Asian minimalist, where airy suites are furnished with wood furniture, oversized beds, and not much more (though each benefits from either courtyard access or a private balcony). 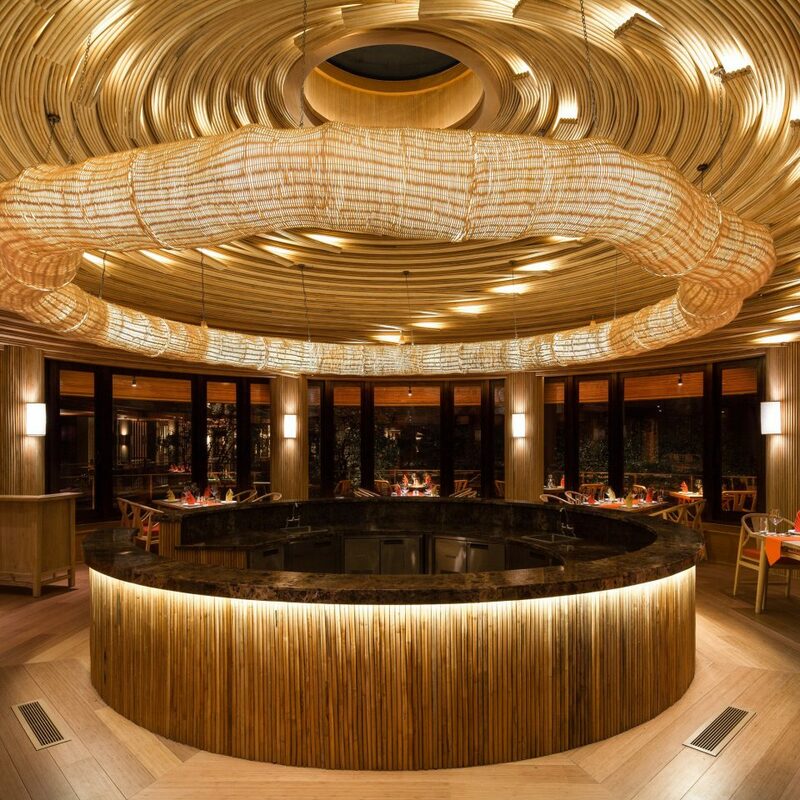 There are three full-service restaurants, plus the romantically lit Moon Bar, which serves creative cocktails, and several snack bars where guests can sample dim sum, dumplings, egg tarts, and ice cream throughout the day. 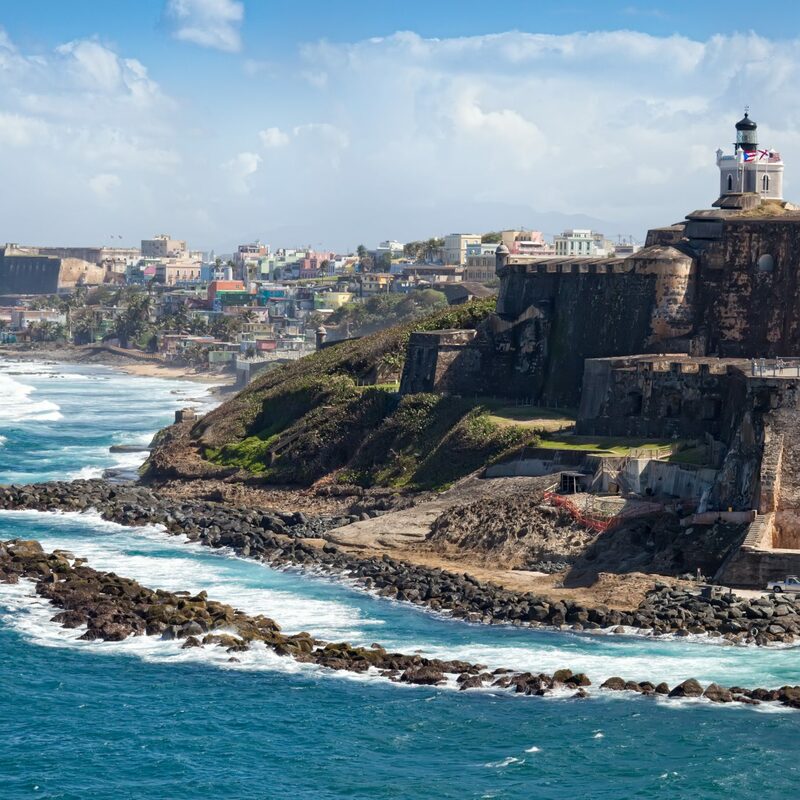 The hotel’s proximity to breathtaking sights is unbeatable, but the peaceful atmosphere of the resort (plus the world-class treatments at the enormous spa and the swimming pool) encourages a delightful inertia. Many visitors come to this area for the giant panda reserves. Panda Valley, a verdant valley where 100 giant pandas (5% of the entire world population) roam around in their natural habitat, is just a ten-minute drive from the resort. Also within a few minutes is the entrance to Qing Cheng Mountain, a UNESCO heritage site that’s dotted with Taoist temples. 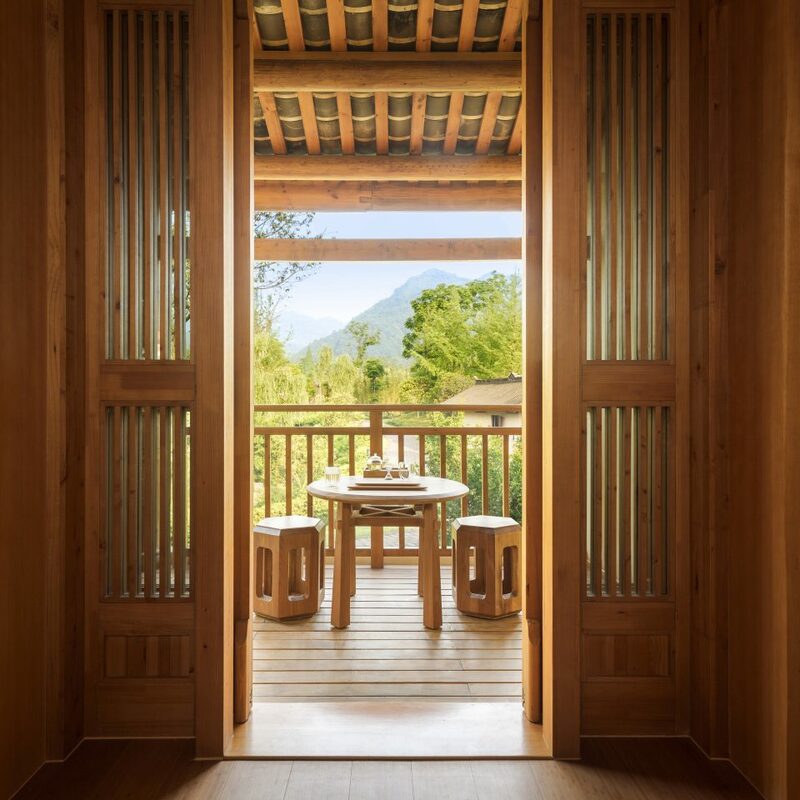 The hotel runs guided tours to the main temple on top of the mountain, where guests can take a Tai Chi class in front of the panoramic scenery—a unique experience. 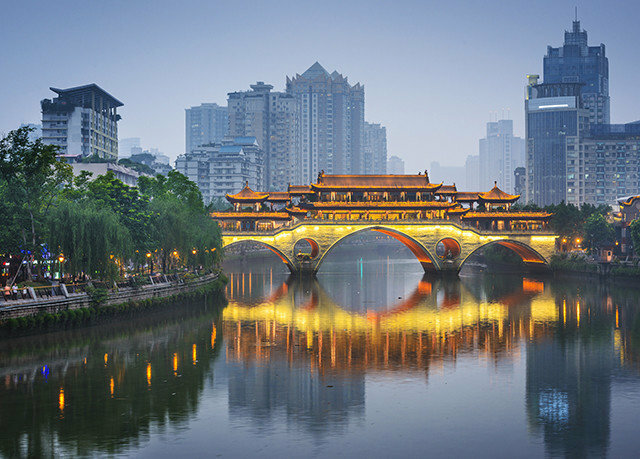 Two ancient towns, Dujiangyan and Jiezi, are nearby; Dujiangyan is also a UNESCO World Heritage Site and boasts stunning traditional architecture. 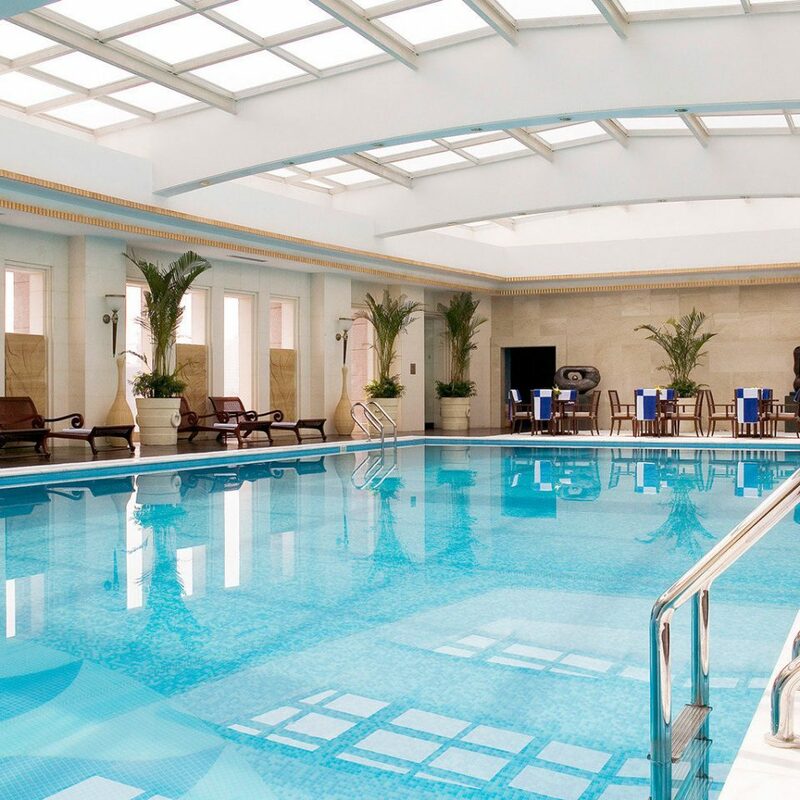 More modern offerings can be found in Chengdu City, a 30-minute drive. 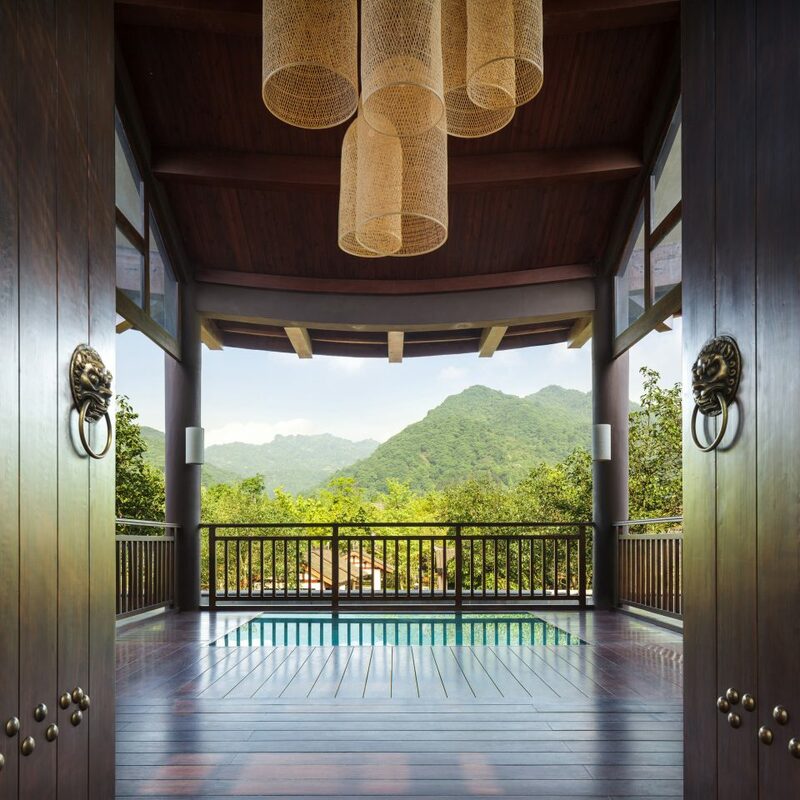 We spent 3 nights at Six Senses Qinq Cheng Mountain. 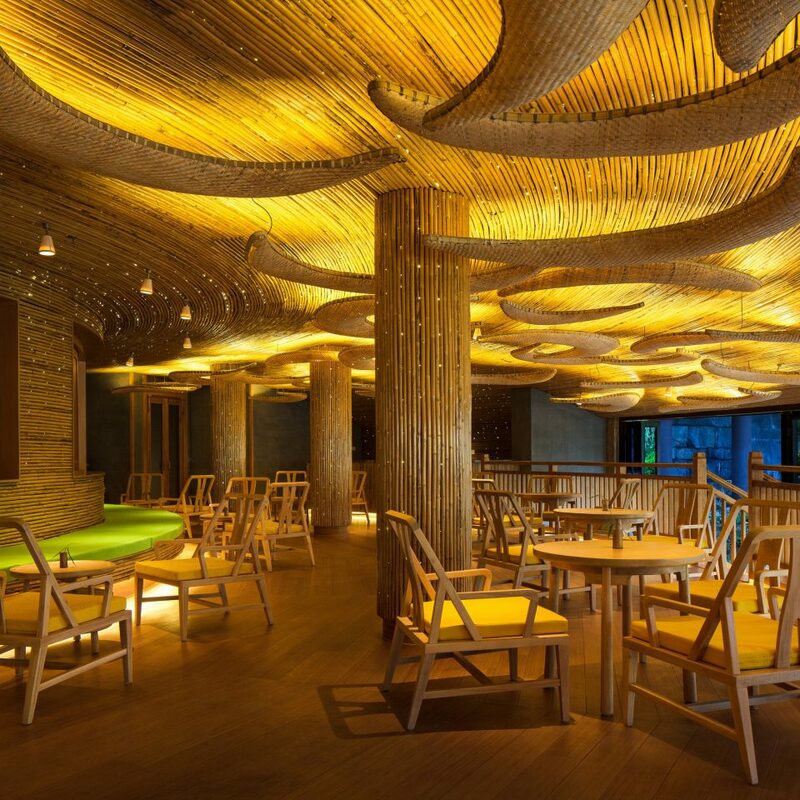 Although it is an enclosed resort, which is personally not really our cup of tea (but certainly great for families), it is in a very pleasant setting located very close to the Panda Ark and within walking distance of the start of the Qinq Cheng Mountain temples walk. 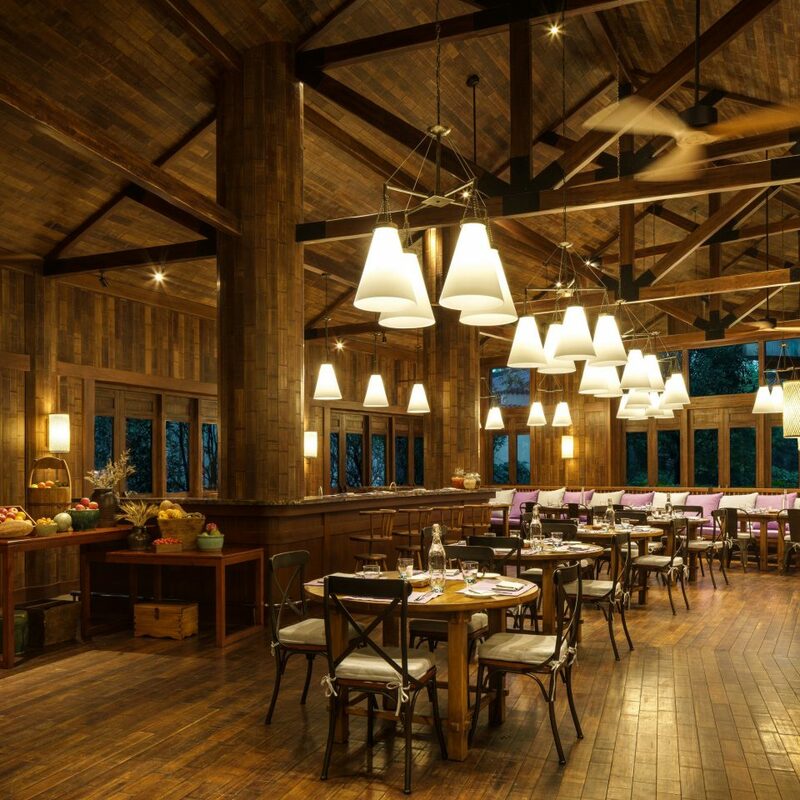 It is important to point out that it is suburban rather than rural, and there are many other hotels and resorts in the vicinity, although SSQCM is designed so that you feel that you are more secluded. SSQCM has a number of theme restaurants, offering both Chinese and Western food. There was even a Thai restaurant, although having visited during low season, it wasn't open. 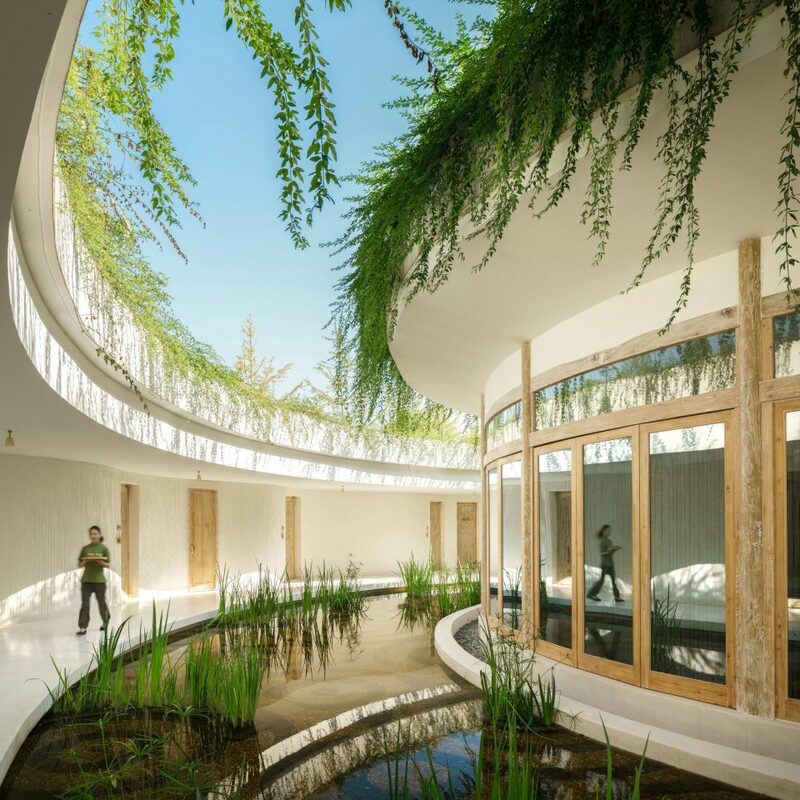 It also has a nice spa and swimming pool as well as an organic garden from which some of the food for the restaurants is harvested, and which you can walk around. Overall, the food was very good and there was a lot of choice, although the prices were a bit steep. The staff were very kind and friendly, and if there were every any problems in terms of communication, it was possible to find someone who spoke good English. 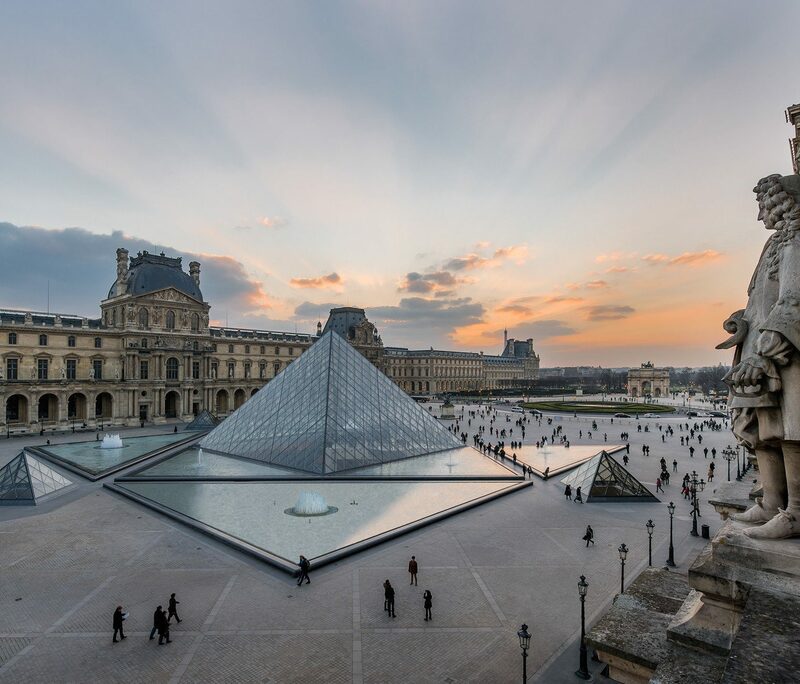 We highly recommend the experiences manager at SSQCM, Jack Qinq, who was absolutely fantastic. Not only does he speak excellent English, but he is extremely knowledgeable about the whole area and was very attentive. We had him take us on a tour of the Panda Ark and he provided all sorts of interesting information about pandas. He also recommended some restaurants outside the SSQCM compound which were great experiences in and of themselves, and he even came to our rescue once when we got lost walking on one of the roads in the area. 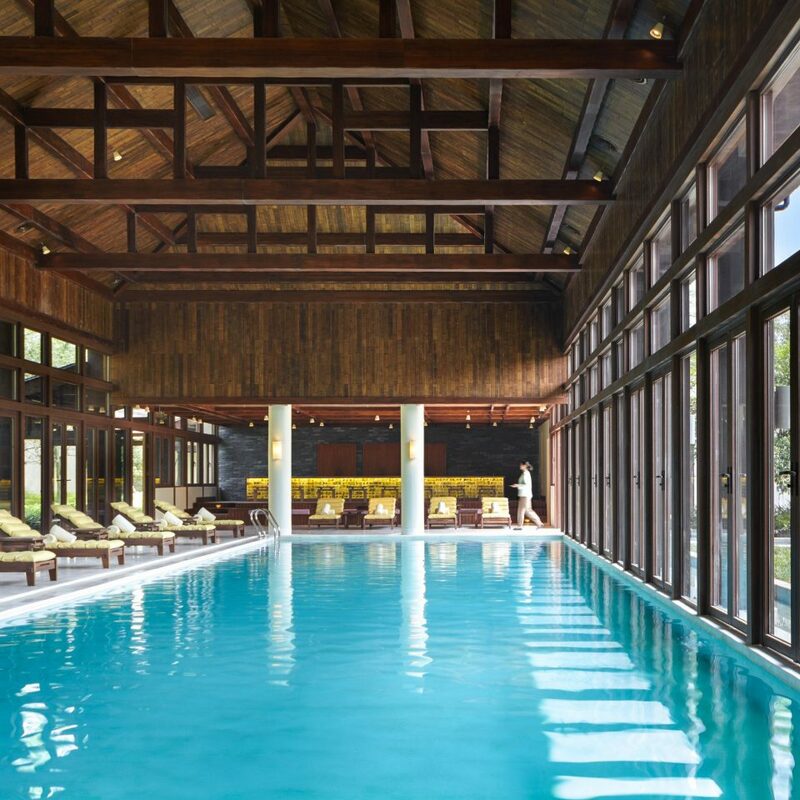 We are a family of four with 2 teenagers and we stayed two nights at Six Senses Qing Cheng Mountain, near Chengdu. Our stay in the hotel was excellent. They accommodated the 4 of us in one room (as we asked). The facilities are very good. We didn’t eat in the restaurants but we had 2 lunches in the Square and the food is very good. We loved the gardens and there is a real sense of peace in the hotel. We did several excursions : for the visit to the pandas our guide was Vanilla which was very good. We also visited the local areas with dinner at local restaurant and trekking to the mountain Qing Cheng and our guide was Jack who was excellent. The boys connected very well with Jack being a young man, and with his excellent English and knowledge of the history and culture of China we had a memorable time. We also did a tai chi session with a young tai chi master which was excellent. We spent a 2-nights family holiday in this resort and we truly enjoyed it. The environment was awesome with sights of mountains surrounded with occasional clouds and mists against a backdrop of quaint scenery. The service and food were impeccable. Special mention to Ms Tong (小唐), out guest experience agent of Foodie & Tea Night Tour who was knowledgeable and enthusiastic.She made everything enjoyable with a lot of fun. Thank you so much! We look forward to traveling to more Six Sense resorts in the future. 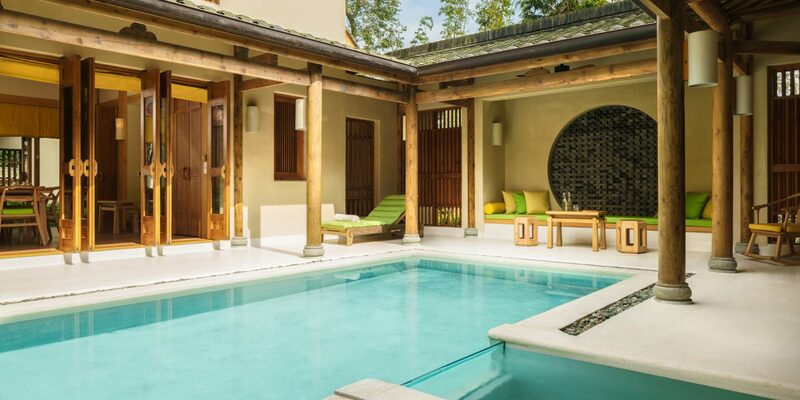 This is one of the best places I have stayed in Asia. The whole place is superbly designed set in charming countryside. The staff are endearing and try hard to please you. 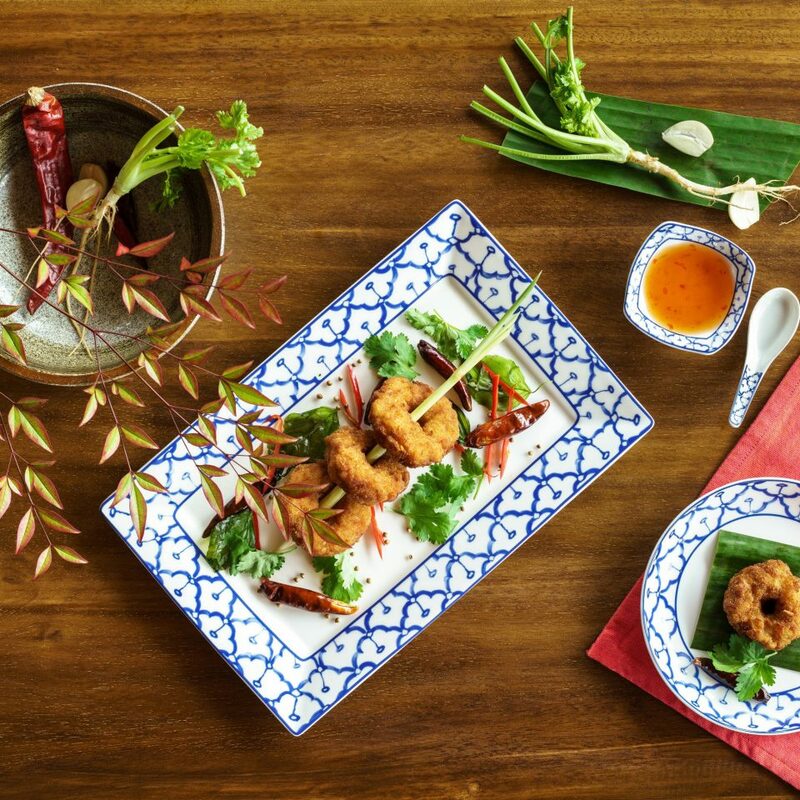 The food is exceptional both in the Chinese and Thai restaurants. The breakfast in the Western restaurant is also superb overseen by a helpful Turkish chef. The General Manager is on hand to make helpful suggestions and clearly is heavily involved in managing the hotel. 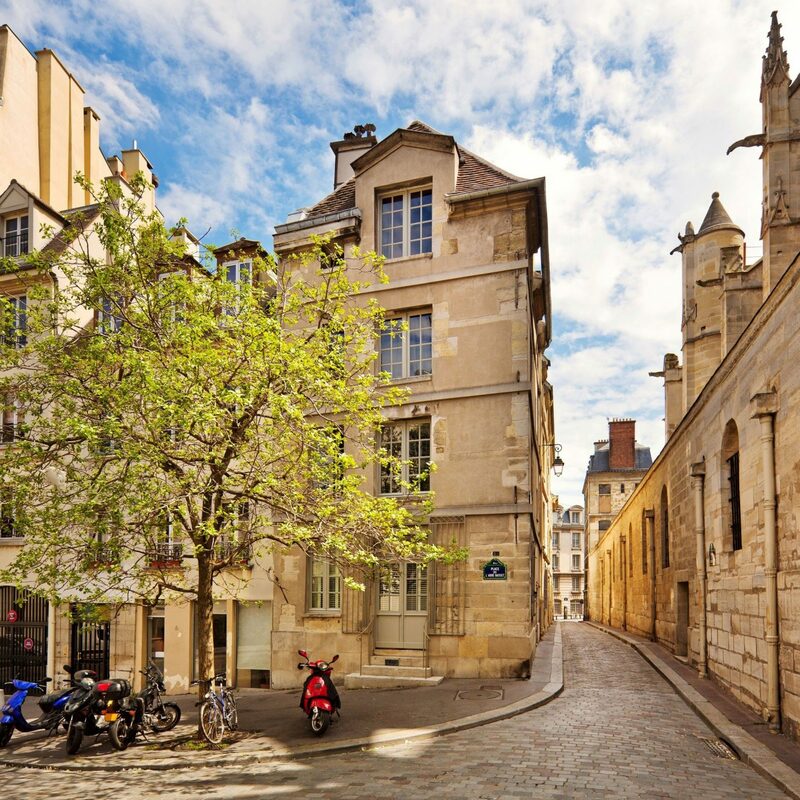 This is a wonderful to place to stay and from which to make amazing excursions guided by the knowledgable and genial Jack. Surely this place will win major awards before long. Five stars in every department! 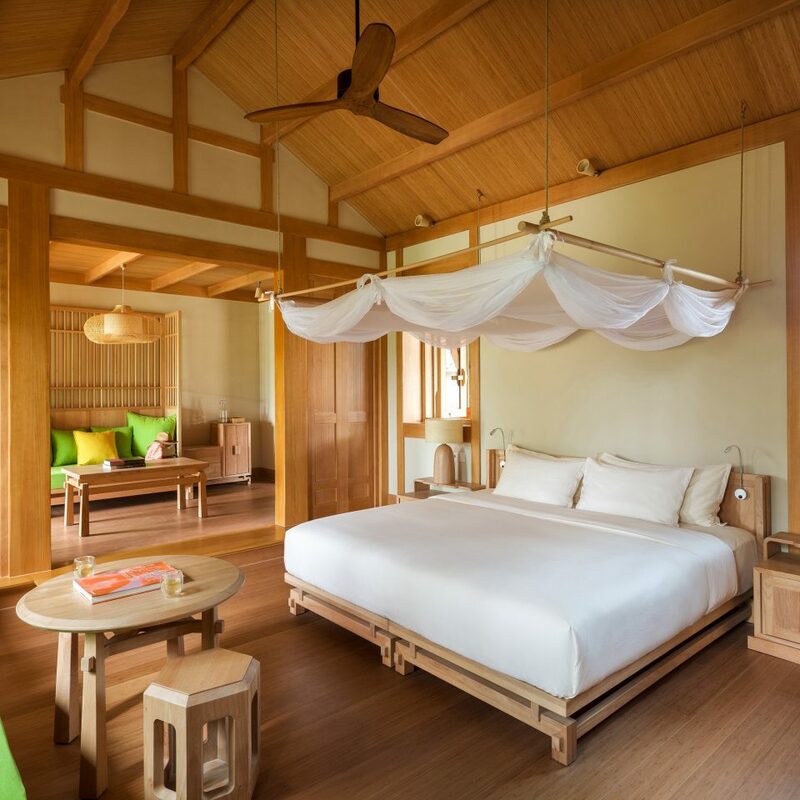 If you have stayed at a Six Senses before, you will find much that is familiar here - beautiful rooms with signature design elements, great service, tasty and healthful food, and a wonderful spa. 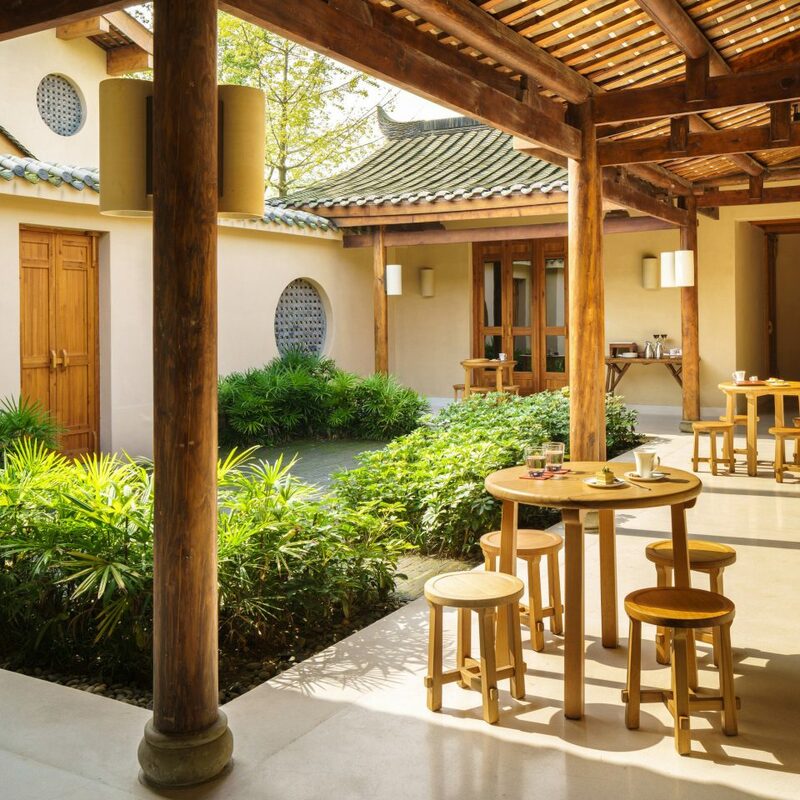 Unlike other Six Senses resorts, however, Qing Cheng Mountain is not on an isolated tropical island with drop-dead gorgeous beaches, but rather is in a lovely but mostly urban area, about an hour out of metropolitan Chengdu. 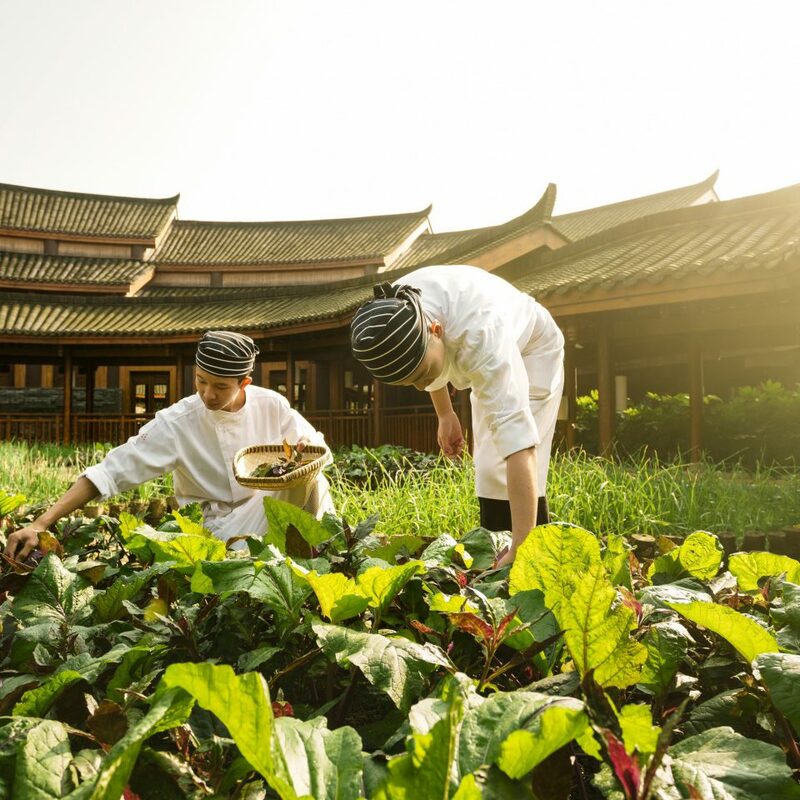 While the resort is secluded and very private, you are just steps away from the ancient and complex culture of China and several World Heritage sites, and you will (or should, IMHO) spend significant time outside the resort on one of the many culturally-enriching excursions available. 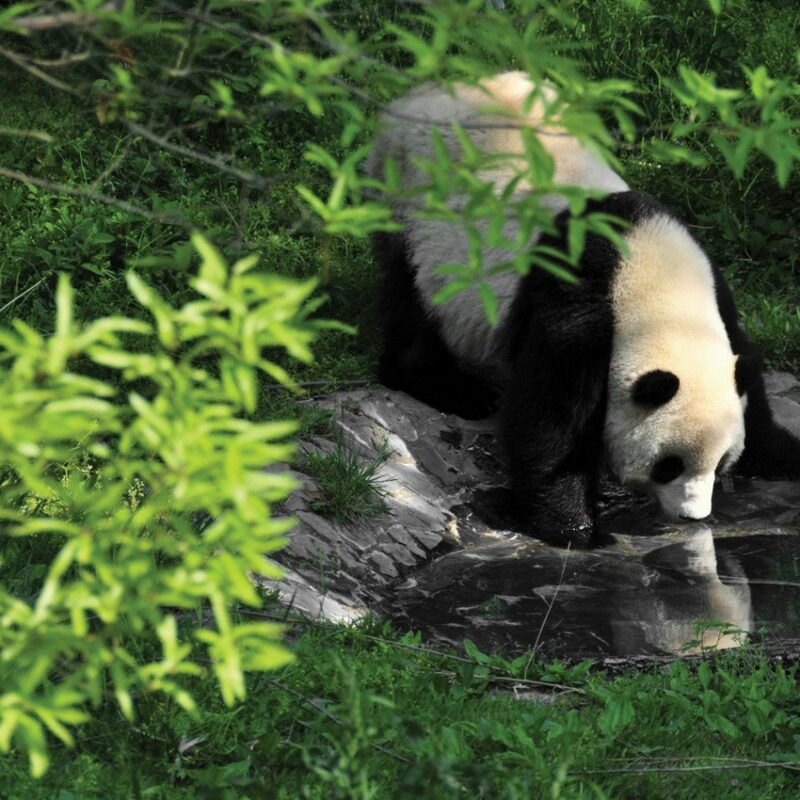 Necessities: visits to one of several panda centers, the old town and irrigation systems at Dujiangyan, and naturally a trip up Qing Cheng Mountain, "the birthplace of Taoism." Did I mention Sichuan food? 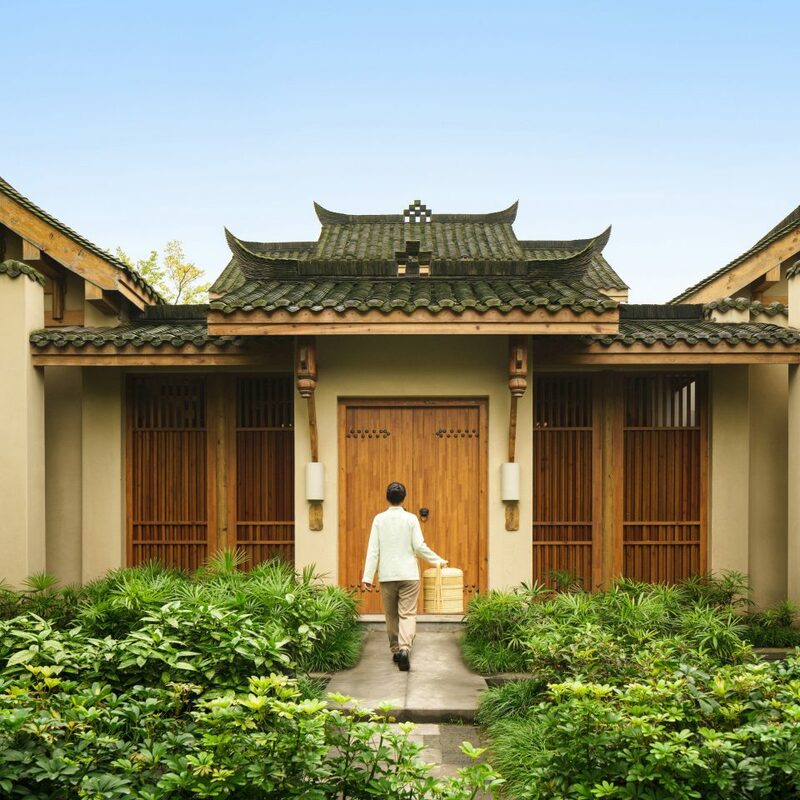 The resort is laid out in typical Six Senses manner, with beautiful buildings in old Chinese style spread across a spacious area; electric carts are available to get around if you wish. 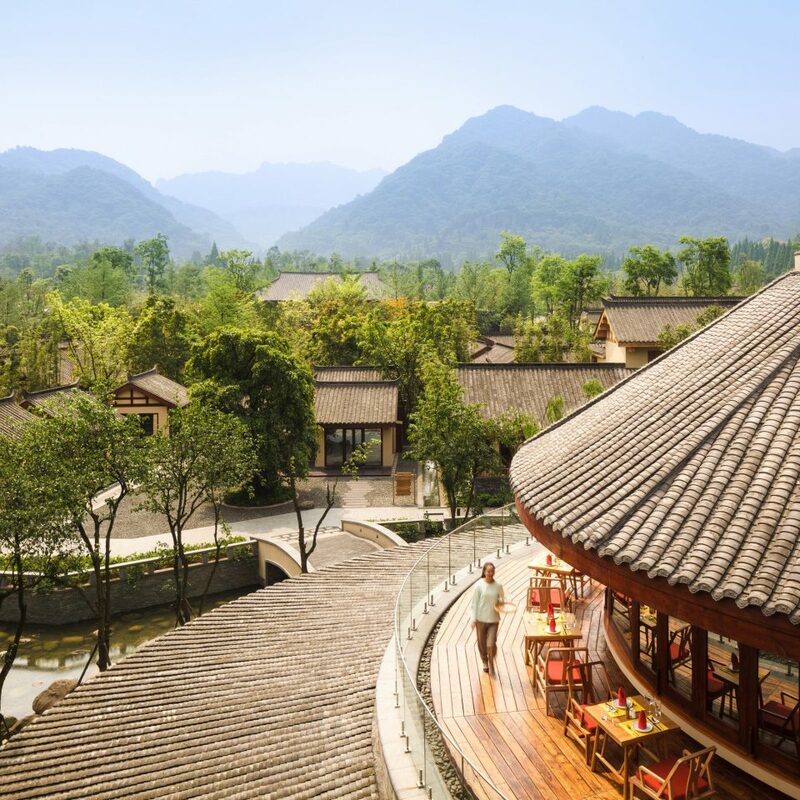 Three main restaurants (Chinese with a healthful Taoist cuisine options as well as local Sichuanese specials, Thai, and a farm-to-fork featuring local products), a central village square with light food and treats, gym and spa; all excellent. I stayed in a second-floor deluxe suite that had a beautiful view of the mountains. The staff was extremely friendly, knowledgeable, and helpful yet not intrusive. My guide and drivers for off-resort excursions were first-rate. English is widely and well-spoken by the higher-level staff, and I had no communication issues. A place I would happily return to.